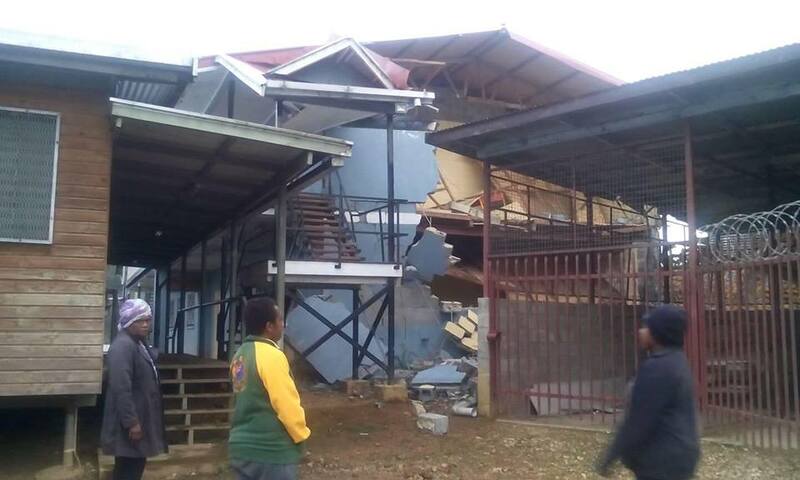 Mendi Nursing College was hit hard by the devastating 7.6 magnitude earthquake that struck the Highlands of Papua New Guinea yesterday. 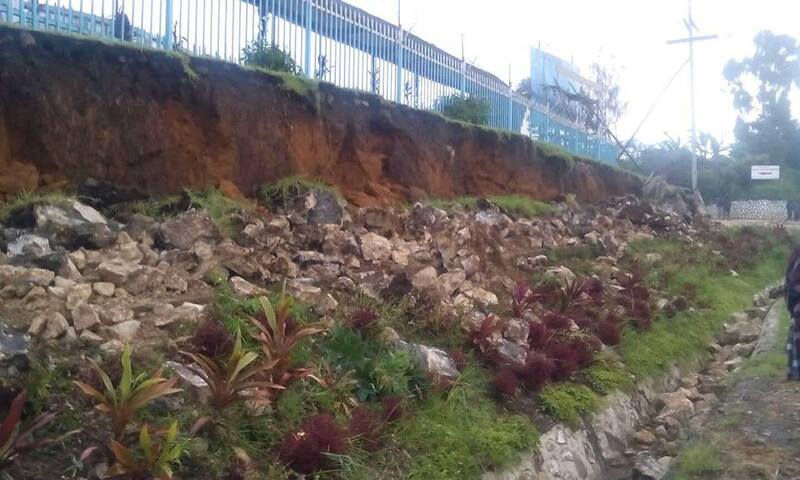 Debris of the collapsed buildings at the Nursing College after the earthquake. Photo by : Jaycoz Pokura. According to reports, the people including students and staff at the college are safe but few got minor injuries. More than 10 people have been killed in Southern Highlands Province. Mobile phone towers have also been damaged making communication between Southern Highlands and other centers difficult. The epicenter of the quake was located 89 kilometers south-west of Pogera at the depth of 35 kilometers. The Papua New Guinea Government has since deployed the army as the immediate response to assess the damage in the region.